Creative thinking, which plays an essential role in the progress of human society, has an outstanding problem-solving ability. 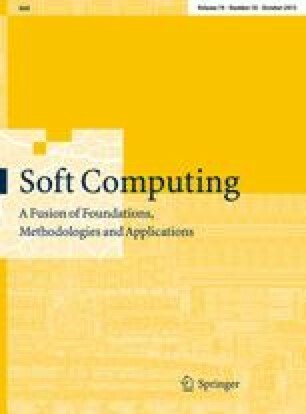 This paper presents a novel creativity-oriented optimization model (COOM) and algorithm (COOA) inspired by the creative thinking process. At first, COOM is constructed by simplifying the procedure of creative thinking while retaining its main characteristics. And then, COOA is presented for continuous optimization problems. It is a realization of COOM. As a new nature-inspired algorithm, COOA is different from other similar algorithms in terms of the basic principle, mathematical formalization and properties. Features of the COOM and the corresponding algorithm include a powerful processing ability for the complex problems, namely high-dimensional, highly nonlinear and random problems. The proposed approach also has the advantages in terms of the higher intelligence, effectiveness, parallelism and lower computation complexity. The properties of COOA, including convergence and parallelism, are discussed in detail. The numerous simulations on the CEC-2013 real-parameter optimization benchmark functions’ problems have shown the effectiveness and parallelism of the proposed approach. This work was supported in part by the National Natural Science Foundation of China under Grant Nos. 60905043, 61073107 and 61173048, the Innovation Program of Shanghai Municipal Education Commission, and the Fundamental Research Funds for the Central Universities.